Please tell me that I'm not the only one who has failed with my Summer Bucket List, looking back through mine I've ticked off the grand total of two things! With the August Bank Holiday looming there's one thing I'm determined to do before the Summer is over and that's to feel the sand between my toes. Us Brits love escaping to the beach and come rain or shine I'm sure loads of us will be spending as much time as we can on the coast this Bank Holiday. We're very lucky in the North East to have miles of coastline boasting some of the best beaches in the UK but when there's so much choice how do you decide where to go and what to do? 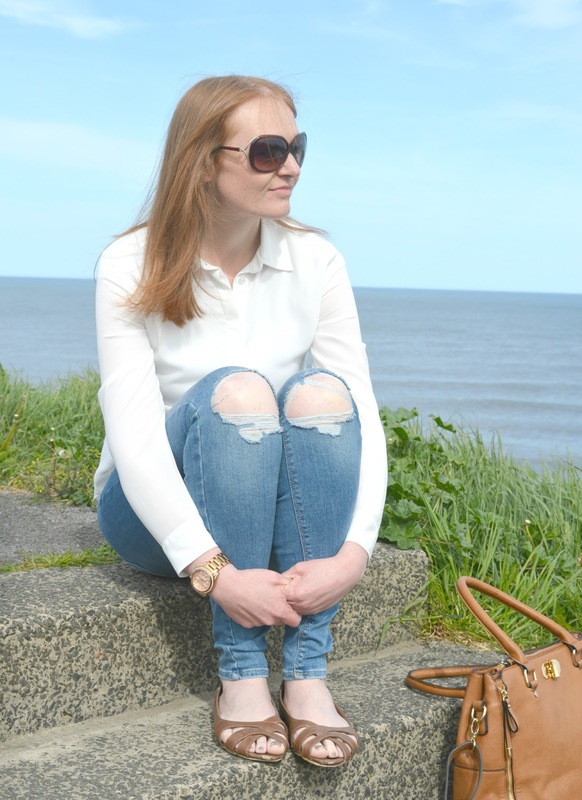 Here's my little guide to the best seaside adventures in the North East. Any opportunity to climb somewhere for great views and I'm there like a shot. St Mary's Lighthouse in Whitley Bay costs £3.15 per adult to climb which is a complete bargain. The 137 steps to the top give you a great mini seaside workout and your reward is the most gorgeous view of the North East coast. I'd heard a lot about Longsands Fish Kitchen in Tynemouth before we finally adventured there and let me tell you the rumours are true, their fish and chips are out of this world! We ordered from the takeaway one Summer's evening and were completely blown away by the experience, so much more than your average tea from the chippie - we're talking huge portions and homemade mushy peas. If anyone has yet mastered the skill of eating sandwiches on the beach without getting sand in your mouth, please do share. I like to keep my picnic away from the danger zone and the award winning bench at Bamburgh is a lovely little spot with pretty views of Bamburgh Castle and the beach below. A walk by the sea is one of my favourite things to do at the coast. 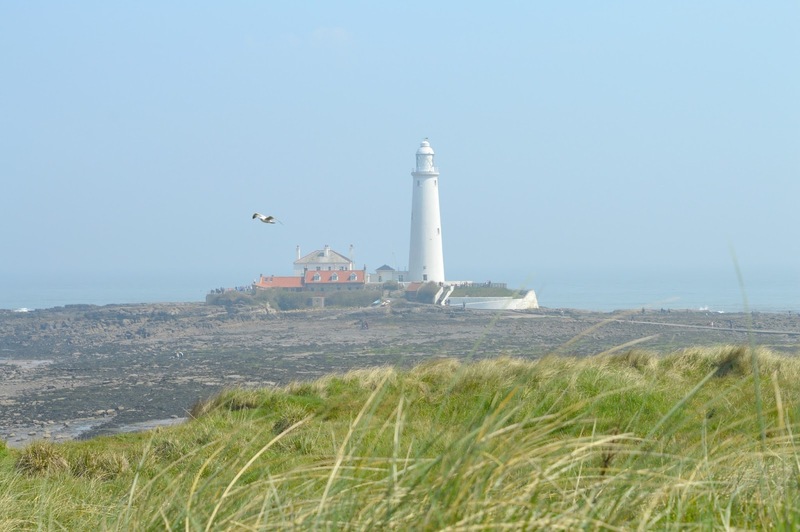 The coastal path walk from Whitley Bay to Seaton Sluice offers perfect views of St Mary's Lighthouse, plenty of bird watching opportunities and a great reward for all that walking, a pub overlooking the sea. 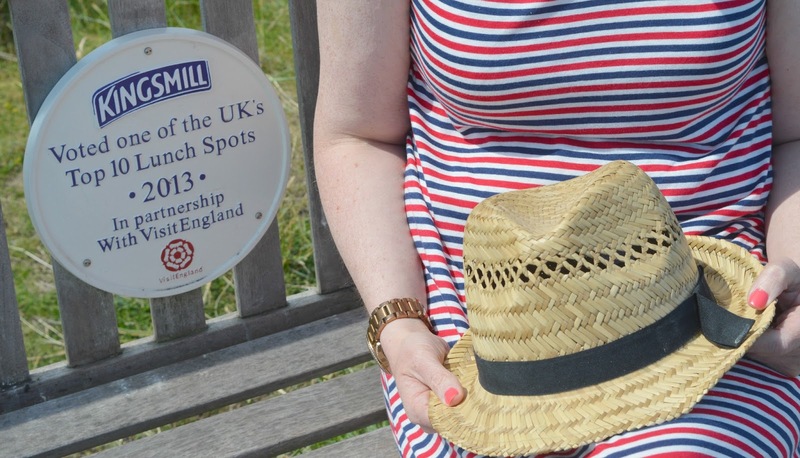 One of our favourite seaside adventures is the walk from Tynemouth to Whitley Bay with an essential stop at Beaches and Cream in Cullercoats along the way. 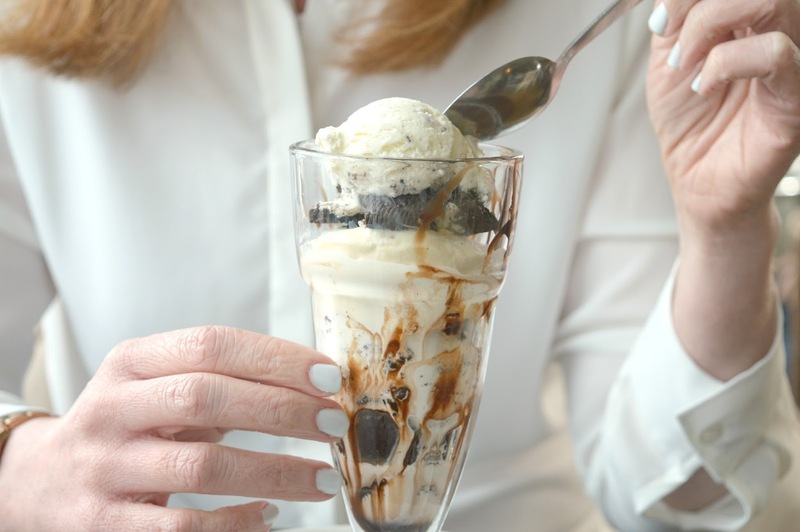 Beaches and Cream is one of our favourite places in the North East for ice-cream as they do massive sundaes made with Beckleberrys ice-cream. It can be quite a challenge to get a table indoors but on a sunny day it's quite nice to sit outside and people watch. We're big kids and love a bit of crazy golf at the seaside. Beaches Crazy Golf course at Seahouses is one of our favourites, it's nothing overly fancy but that's exactly why we love it. At only £3.50 for adults the 18 hole course is themed around local landmarks in Northumberland and offers great views of the coast as you play. 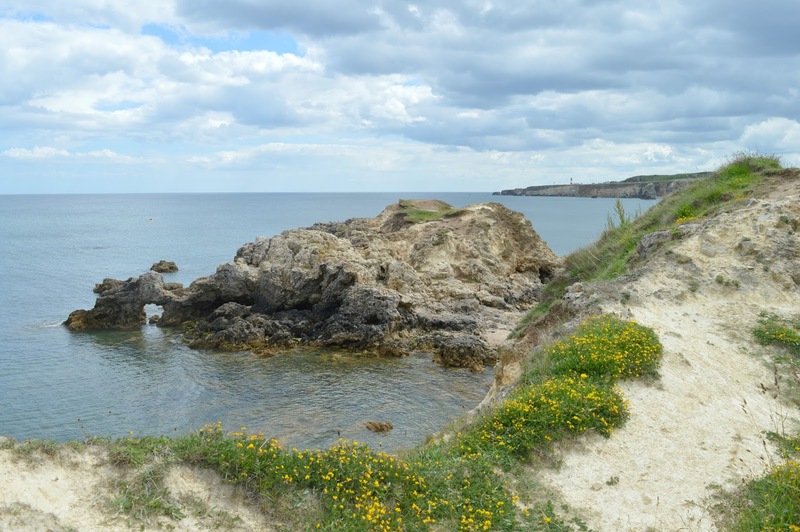 The South Shields to Sunderland coastal walk is a little longer than our average seaside plod at over 8 miles but is completely worth the effort with some beautiful views along the coast and the chance to stop and rest at the gorgeous Souter Lighthouse. Roker is one of my favourite foodie places at the seaside with Let There Be Crumbs being one of the best places in the region to visit if you're a lover of cake. The service isn't always brilliant but the huge menu of cakes, desserts and puddings more than makes up for it which is what keeps us returning. A huge slab of cake after a walk in the sea air is just what the Doctor ordered! Craster is the most beautiful fishing village on the Northumbrian coast and home to the famous Craster Kippers. 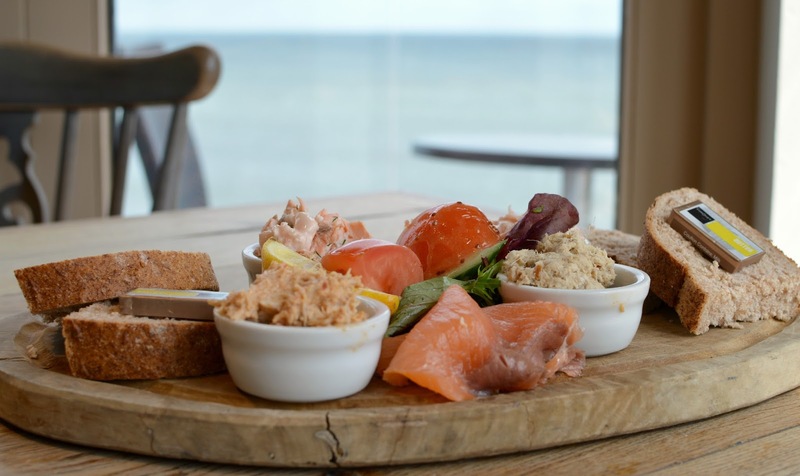 You can buy fresh fish to take home from the smokehouse but my favourite way to enjoy the kippers is by finding myself a sea view table at The Jolly Fisherman and ordering the Jolly Fish Board. Heaven! What are your favourite seaside adventures? If you've missed my previous guides to the North East then make sure you check out The Best Cocktail Bars in Newcastle, my Guide to Adventuring in the North East without a car, The Most Romantic Dates in the North East and Best Afternoon Teas in Newcastle.